Target audience: Nonprofits, cause organizations, foundations, NGOs, social enterprises, businesses, educators — anyone with a website. 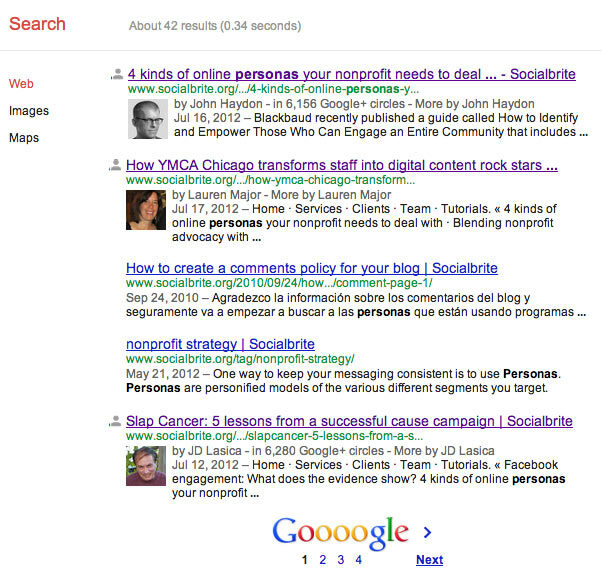 If your nonprofit team creates content on the Web, then your biggest challenge is to have people find you in search. And, let’s get super obvious here: That means you want them to literally click your link and arrive on your site, right? Live-blog sessions you attend, or ask others to do so and post to the blog. 4 Blog conference sessions. The surest way to attract a community is to be part of the community when events and conferences are happening. Live-blog sessions you attend, or ask others to do so and post to the blog. Use the session’s Twitter hashtag and tweet that you are live-blogging certain sessions. Those following the conference online will refer to your blog as a source of session content, expanding your organization’s usual reach. 5 Remember you ABCs: Always Be Commenting. Reply to (almost) every blog comment. Readers comment on your blog post because they want to be recognized, add to the conversation, and be considered. Replying to comments can lead to other interesting discussions within the blog posts’ comments, and deepening a reader’s engagement with your blog and its content. No need to reply to every person who writes, “great post!” Instead, comment after a few of these types of comments are up. 6 Ask for blog comments. Don’t be afraid to ask for comments. Send a DM on Twitter to people you know would be interested in a certain blog post. Ask Twitter and Facebook followers and fans to comment as you share the post. If there is a great discussion happening in the blog comments, tweet that out and ask for even more comments! 8 Install an easy-to-use social commenting system. Disqus and Facebook comments are two very easy-to-use commenting systems that are inherently social. Once users are logged into Facebook or Disqus, the comments are publicly shown either on Facebook feeds or the Disqus network. 9 Include a “recent comments” widget on the sidebar of your blog. Highlighting recent comments sends the message that your blog already has a blog community. I’ve installed the Disqus “recent comments” widget within Community Organizer 2.0’s sidebar for that very reason. 10 Post the latest blog posts to your organization’s social spaces. A recent case study implied that autoposting to Facebook may decrease views, so be sure to post manually the latest from your blog to Facebook and Twitter. Consider also posting great blog comments to your Facebook Wall and other social spaces. 11 Show blog post retweets on the sidebar of your blog. Consider creating a Twitter feed that pulls in all the blog post retweets as a way to show that your blog already has a community of readers. 12 Give out some link love. Though linking out a lot is not always recommended as a good SEO practice, linking will get your blog noticed. Especially when your blog is relatively new or unknown, don’t be afraid to create links to other blogs your readers will recognize. When you link to others, the blog owner is usually notified of the link and will often take a look at your blog. 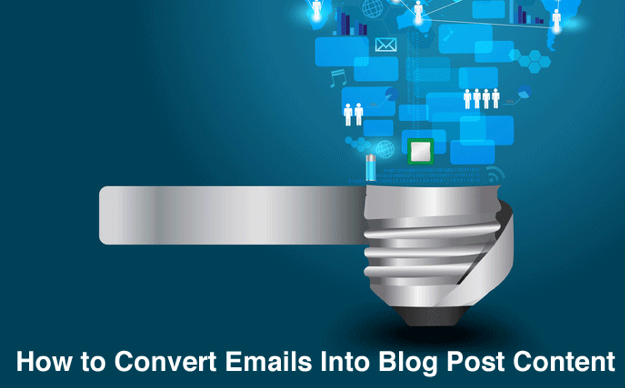 This is a simple way to get your organization’s blog onto the radar of other industry blog owners. Should you start a blog for your nonprofit? Starting a blog for your nonprofit is not something you should take lightly. Based on my conversations with nonprofits, I’ve found a number of pros and cons. Blogs are much less expensive to host and manage than traditional websites – and most hosting companies feature one-click installation of WordPress. WordPress is so incredibly flexible that you can build an entire website on WordPress – especially if you add on a premium theme like Headway. Updating content and functionality with WordPress requires almost no knowledge of code, so you’ll save money on IT. This ease of maintenance adds to the sustainability of your organization. Having a WordPress blog includes access to thousands of free software tools (plug-ins and widgets).